Why Would I Use an Egg Donor? The main reason why doctor’s suggest egg donation to their patients is due to infertility. However, everyone’s situation is different. 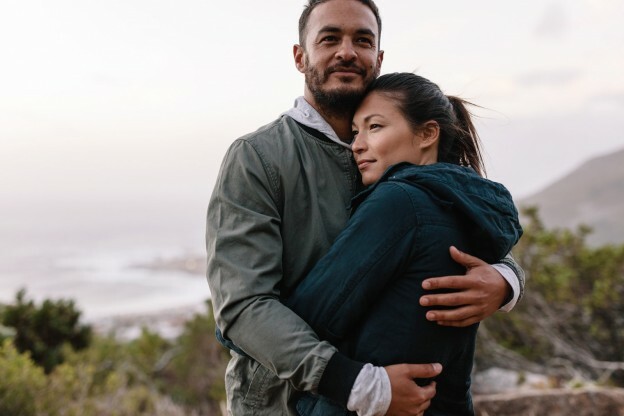 We’ve listed some of the most common reasons why couples and individuals turn to egg donation as a viable solution to infertility. Remember that no matter what led you to the path of egg donation, Egg Helpers is here to create with you the family of your dreams. Many women are unable to have children because their ovaries don’t produce any eggs. Up to 1% of women suffer from Premature Ovarian Failure. This means that a woman’s ovaries stop functioning sooner than expected, with a shrinking egg supply. Another factor that impacts a woman’s egg supply is cancer treatment. Chemotherapy, radiation therapy, and surgery can harm the ovaries and other reproductive organs, hurting fertility. Premature menopause may be another concern, and donated eggs may be the only option for these hopeful mothers-to-be. Other women may produce eggs, but they are of poor quality or contain genetic abnormalities that may be passed on as inheritable diseases. These chromosomal issues result in non-viable embryos, devastating birth defects, and miscarriages. In these situations, women who want to be mothers must make the difficult decision to use donor eggs to avoid these risks. Egg Helpers takes these disorders seriously, and genetically screens all egg donors in order to avoid these risks. In the past, there was no treatment that could be offered to women with ovarian failure. However, thanks to the donation of an egg from another woman, infertile couples can still realize their dream of having children. Currently, the use of donated eggs has become much more common than it was even just a few years ago. One reason for this is that women who are over the age of 40 are wishing to start or expand their family. Another factor is that over the years, the process has become much more successful, and compared to other forms of assisted reproduction, women who use fresh embryos have experienced over a 43% chance of becoming pregnant from egg donation cycle. As women begin to enter their mid-to-late thirties, the quality and quantity of her eggs begins to drop as her fertility naturally diminishes. This reduction process happens over the course of the woman’s lifetime: a baby girl is born with one to two million eggs in her ovaries, but only a few hundred remain by the time she reaches menopause. The older the eggs, the more likely they are to exhibit a higher rate of chromosomal anomalies, which in turn increases the chance of miscarriage. Sometimes women feel pressured by society for their decision to delay having children for “selfish reasons”. Egg Helpers understands that life doesn’t necessarily follow a fairy-tale timeline; that reality can be messy and has many twists and turns. In today’s modern culture, more women are focusing on fulfilling their career goals, taking their time to find the right mate, and delaying having children until they are financially and emotionally stable. Women today have more life choices than ever, and while that’s an amazingly positive development, it also means that more women are holding off on becoming mothers until after they turn 35. Although we’ve focused primarily on female infertility, it’s important to mention another group in need of egg donation: gay male couples. Our culture is accepting new ways to think about parenthood and families, but the path to fatherhood is long and complicated for many male couples. Homosexual couples still face discrimination when it comes to adoption. Surrogacy with donor eggs is a viable way for gay fathers to have children and build families with a genetic link. Egg donation has the power to make the dream of a family come true for so many people. No matter your background, or how you’ve come around to searching for that perfect donor, Egg Helpers is here to help you every step of the way.